Two men, with two different stories, have been connected through one act of kindness. Kees Zwaaneveld emigrated from Holland following World War Two. Kees Zwaaneveld is 91 years old but you wouldn’t know it. He has a spring in his step and a twinkle in his eye that makes him look at least a decade younger. Originally from Holland, Kees has had an eventful life. World War Two broke out when he was only 14, his education was interrupted and life put on hold. “Those were tough years,” he says. When the war ended, he began picking up the pieces. Kees put himself through night school and learnt how to make electrical instruments, a popular trade in those days. Fate brought him together with an Austrian lady named Maria who he quickly became smitten with. Unable to envisage a future for them in Europe the young couple decided to emigrate. Kees, a naturally charismatic man, managed to sweet talk her parents into agreeing and in 1956 the two of them arrived in New Zealand with £20 in their pocket. Fast forward six decades and much has changed for Kees. He and Maria got married, had two children, and built a successful life for themselves. One thing that remains though are Kees’ memories of the kindness people showed when he and Maria first arrived in New Zealand. It was these memories that made him decide to donate his bike to a former refugee in the community. Riding has always been a big part of Kees life, unsurprisingly given his Dutch heritage. He still rides, although these days he uses an electric bike to help out with some of the steeper hills in Wellington. His old bike has been passed on to Mohammad Hilal, one of Wellington’s newest residents. 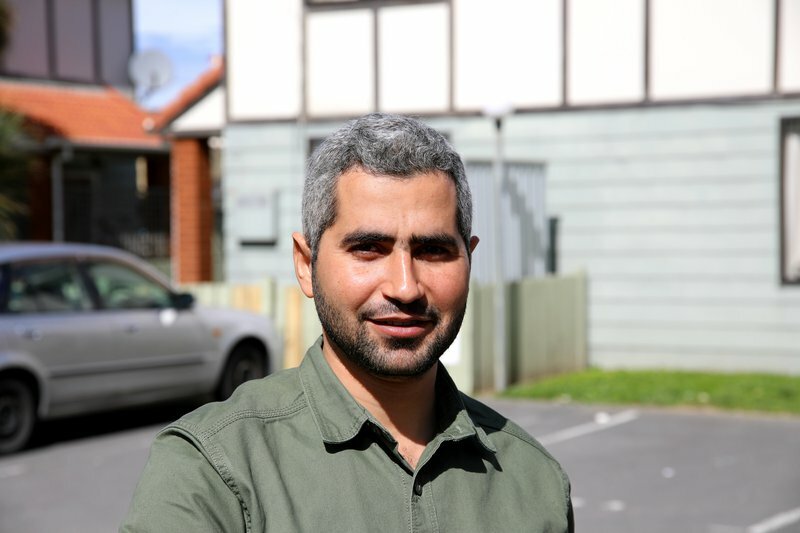 Mohammad and his wife Fatima arrived in New Zealand in July with their two children. Originally from Syria, the small family had been living as refugees in Malaysia. One day they were interviewed by New Zealand officials for possible resettlement. Afterward they began researching the small country they were unfamiliar with. His optimism proved correct and they are enjoying their new lives. The two children are making friends at school and Mohammad, who has a linguistics degree, wants to become an interpreter. He was gifted Kees’ bicycle after asking Red Cross if there were any available for him to use. It’s proved to be an important part of the family’s integration into the local community with Mohammad utilising it to get to the local sports centre where he plays squash. It’s one small act of kindness from Kees that has gone a long way to helping Mohammad settle in Wellington. We are often looking for donations that can help former refugees settle into the community. From household items to bikes, there are many items that can support resettlement in your local community. To find out more about donating to help former refugees, visit this page.